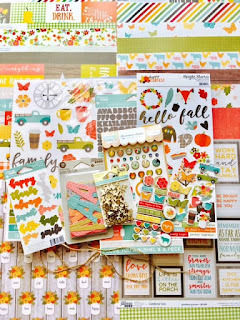 Today I'm stopping in the share my first layout using the October Main Kit from My Creative Scrapbook. 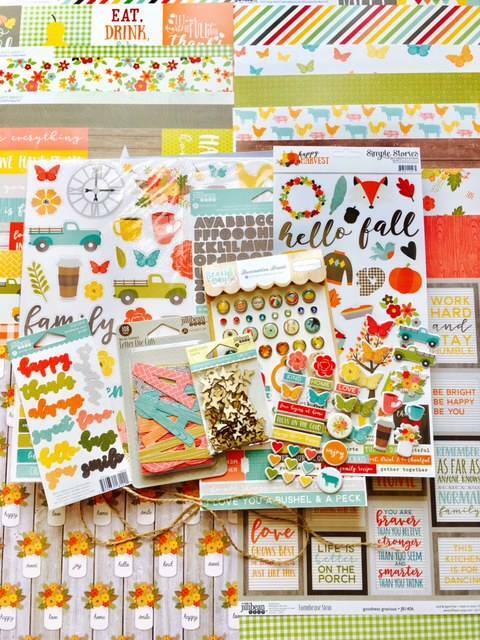 This month"s main kit is absolutely gorgeous, it's feature the beautiful Farmhouse Stew collection from Jillibean Soup! 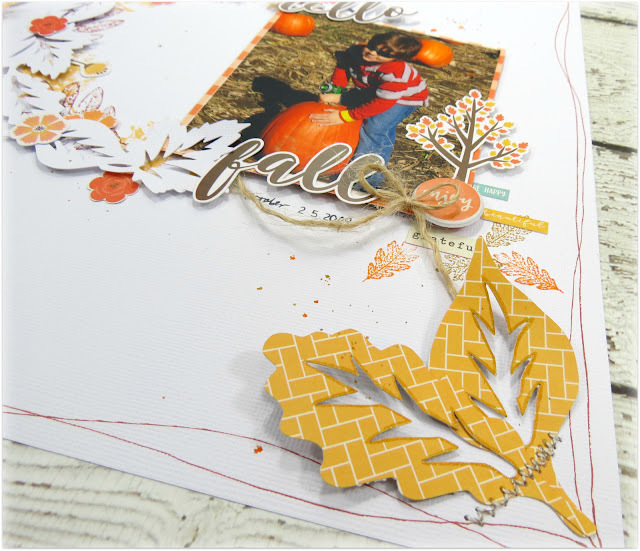 For this page I started by cutting the leaf wreath in this month's cut file from white cardstock and instead for backing the cut file with patterned paper, I decided to add color by using a leaf stamp and love the added texture this created on the layout. To give it a bit more dimension, I adhered it down with some foam dots. 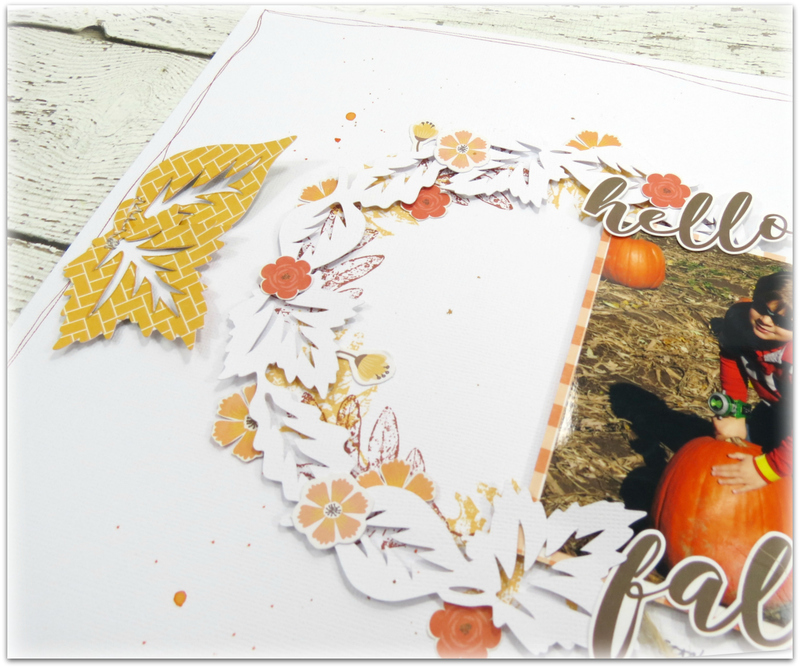 Next, I placed my photo on top of the cut file and start embellishing. I added a few flowers die cut from the pea pod parts to the top of the wreath. I also fussy cut some of the flowers from the beautiful Gimme Some Sugar patterned paper and tucked them underneath the wreath. I added a few more cut file leaves and adhered with machine stitching, one in the bottom right hand corner and the other to the left hand side of the page. I finished the layout off with a few more embellishments, my title and a few paint splatters!